I am about ordering a new main sail. Does anyone know where can I find the originally specified measurements on the main sail? You don't need to be constrained by what was there originally so it would be much better to talk with your local sail loft about what would work best. This way it can be optimized for your local sailing conditions, the type of sailing that you do and of course all the trade offs related to price. 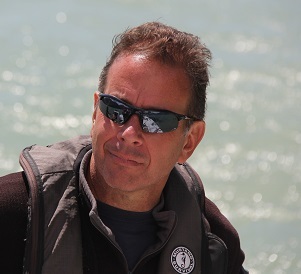 Hi Markus, i also have 2010 400, i had new laminated sails made by Doyle Sails, Main slightly larger in roach and foot than standard and S/T jib 15% larger with battens. You have done what I am planning to do. I would consider making a an overlapping jib that you sheet on the cabin top. Gives even more area. 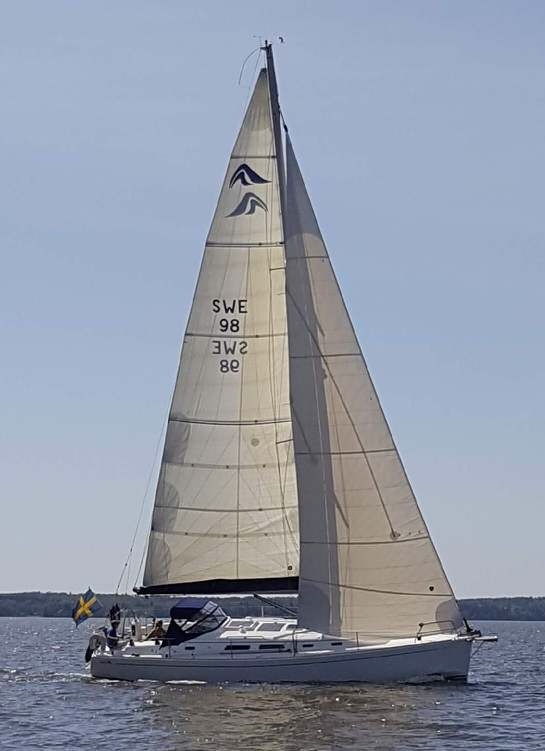 When I upgraded my jib last year for my Hanse 400e from 2006 I got 2 different proposoals from the swedish sailmaker Gransegel (selftacker and overlapping). Both were based on their glider design with one long curvec battern and one standing. Self tacker was by design 35 sqm and overlapping was 42 sqm. Tacking is not an issue even when sailing single handed and I only need to use the winch for the last 10-20 cm. Since I'm using the ordenary genua tracks I have added inhaulers to be able to get the right angle. On the 2006 and 2007 I know there are backingplates for tracks on the cabintop, but inhaulers were both more economic as well as more flexible. Do you have any pictures of how you have arranged the inhaulers? I also have a larger genua and the lower tracks, and would like it closer to the centerline when sailing upwind. Hanse 370e 2006 #41 "Samson II"
I will take some pictures next time I'm at the boat. But Basically I have mounted 2 padeyes (one on each side) on the roof and 2 extra blocks at the mast foot. I have routed a dynema on each side from the padeye, thrue an antal ring, to the extra block on the mast foot. Those 2 are spliced togehter and is routed thrue the deck organized and then back to one organizer. This gives me a 2:1 purchase and both inhaulers are controlled by the same line. What size (in %) is your Genua. My jib is called a max jib, maybee 107-110% and when fully sheeted it's still in front of the stays and spreaders (but extreemly close. Jeb, if you have a 2006 400e why didn't you install cabin top jib track instead of the pad eye arrangement you're using. There are built in backing plates. Works excellent. SamsonII, I don't believe you'll be able to use inner haulers on a big overlapping genoa as you'll just pull the sail into the spreaders and shrouds won't you? as I wrote I used inhaulers for 2 diferent resonds. 2) More flexible. Easy to change the sheeting angle depening of conditions. I was thinking of adding tracks on the roof but I'm not shore how to route the sheet down to the winch thru the block cloose to the rail. Do you have any pictures of this? Since I'm sailing single handed quite often I would like to have the option to move the jib sheet to my combined Main/Spinnacker winch to be able to control both the main and the jib from the helm. To accomodate this I have added an extra block on top of standard Lewmar Jib block (each side at the rail) with a built in jammer (that i'm using for the jib). Main is sheeded (german sheeting) thrue the the original block then thrue a standard spinnlock jammer behind that block (cloose to the pushpit) with a padeye/block behind and up to the winch. With this setup I can move the job sheet between the winches while saling. When sailing single handed I lock the lee jammer for the main and use that winch for jib. When tacking I lock both jammers for the main.... Woorks extreemly well.